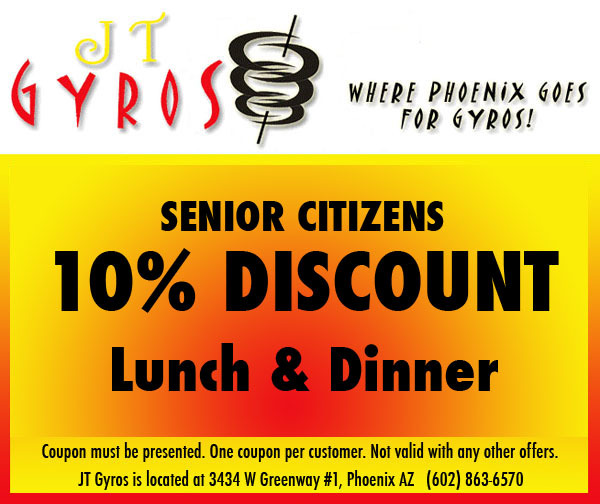 JT Gyros - Where Phoenix Goes for Gyros! 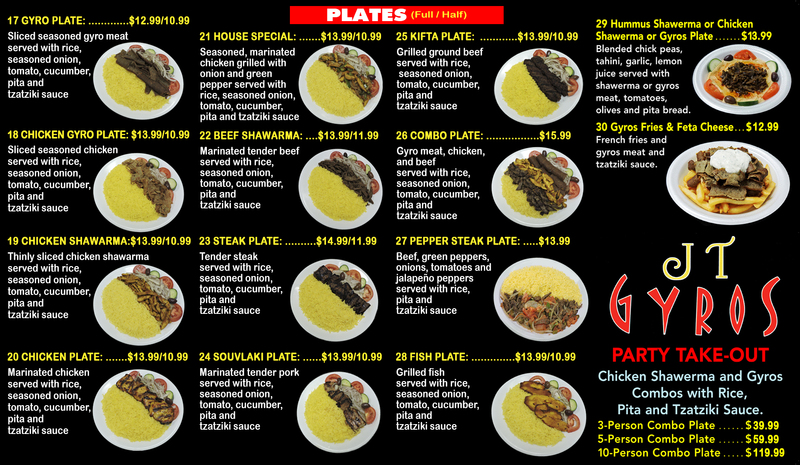 Half Plates available on certain items (See menu). 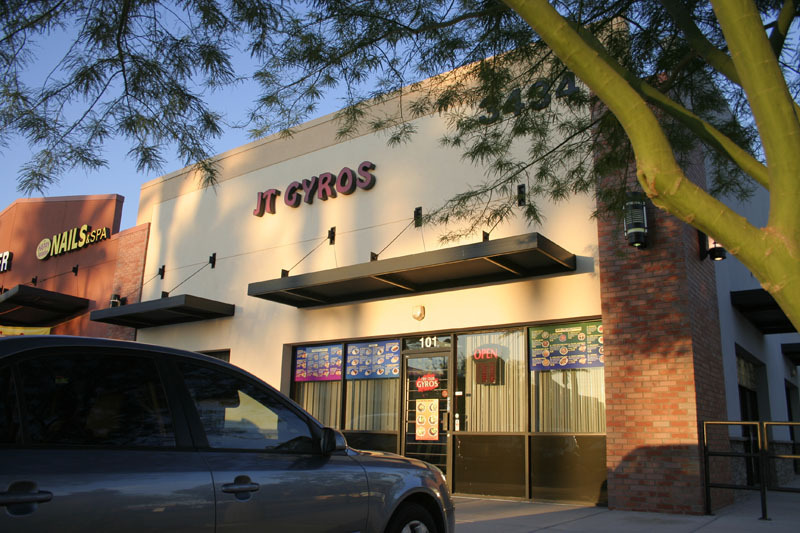 Welcome to JT Gyros! 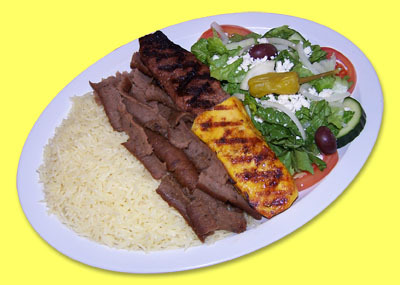 Stop in and try some of the best Greek & Mediterranean food in the Valley! 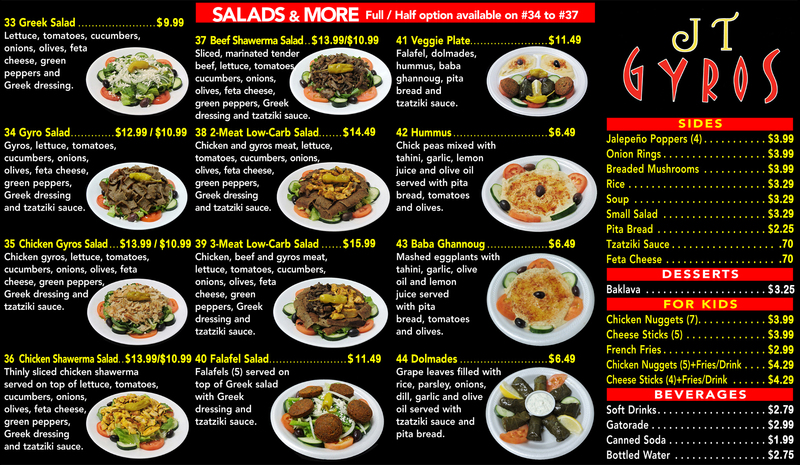 flavors of this famous Greek favorite! 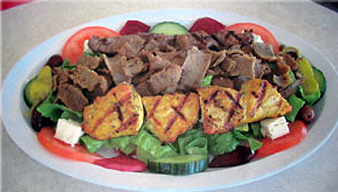 Served on a fresh pita bread, add some hot fries and you have a meal that will satisfy even the biggest appetites. 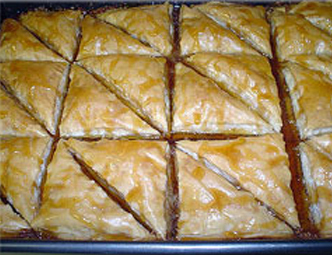 Top your meal off with a piece of our renowned Baklava: thin layers of flaky pastry, nuts and honey! 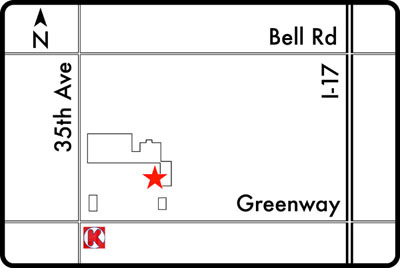 We also have an assortment of low-carb meals that are simply delicious! 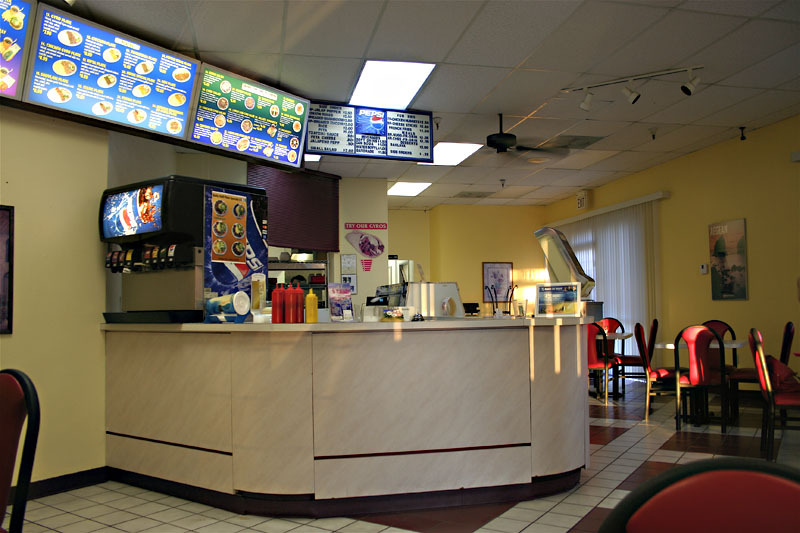 We have something that is sure to please every appetite! 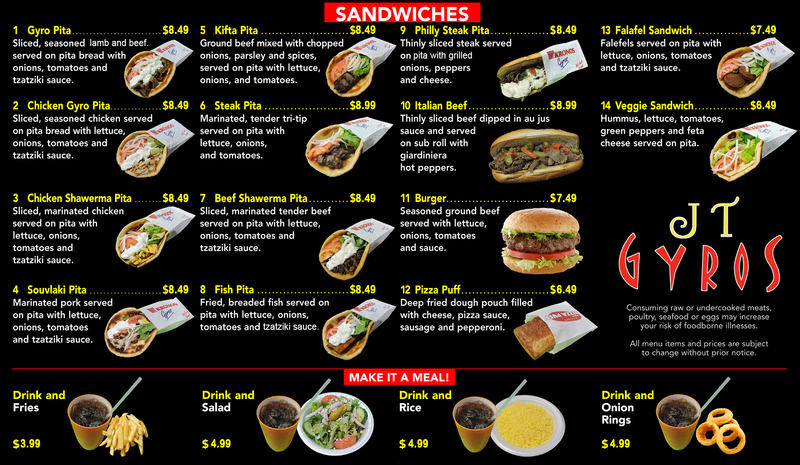 All menu items, prices subject to change without prior notice. 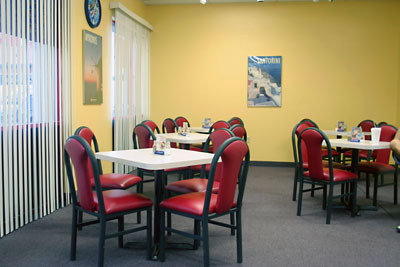 SPECIALS not valid with any other offers. 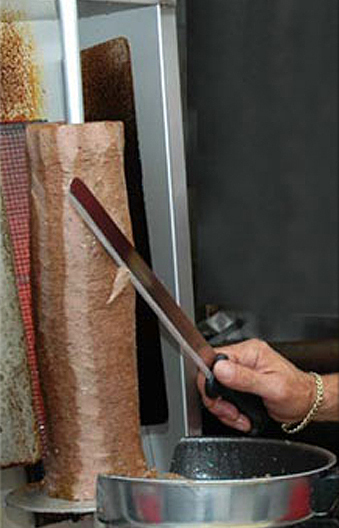 Consuming raw or undercooked meats, poultry, seafood or eggs may increase your risk of foodbourne illnesses.